According tot he Daily Mail , Sevilla midfielder Steven N’Zonzi has handed in a transfer request to try and push through a move to Arsenal this summer after being lined-up as a target by Unai Emery. Our new head coach has already signed right-back Stephan Lichtsteiner, centre-back Sokratis Papastathopoulos and goalkeeper Bernd Leno but there is still plenty more work to be done if we’re to compete next season. Our midfield needs to be revamped as Santi Cazorla and Jack Wilshere have left the club so Emery is looking to sign at least one midfielder and we’ve been crying out for a physical presence in the middle of the park for several years. Lucas Torreira is being hotly tipped to join from Sampdoria but it seems Emery could be eyeing another midfield addition with recent reports in Spain via the Daily Star claiming that Arsenal are lining-up a swoop for N’Zonzi. Daily Mail claims that N’Zonzi has now handed in a transfer request in order to try and push through a move to Arsenal. The French international is keen to live in London to be with his young family and the newspaper says N’Zonzi’s buy out clause is set at £35m but Sevilla may be prepared to do business at around £22m. Emery knows N’Zonzi extremely well from their time together at Sevilla where they won two Europa League titles so it seems a reunion in north London could be on the cards this summer. 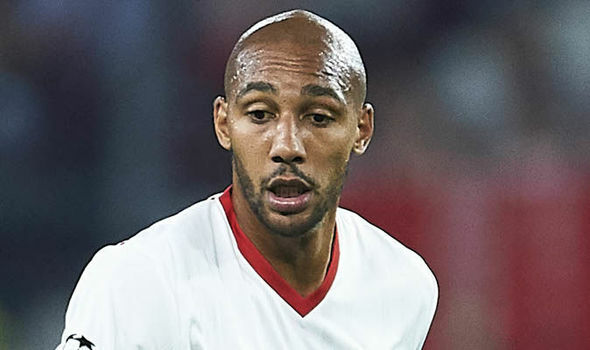 N’Zonzi is currently in Russia representing France so any potential deal will have to wait as he won’t want to resolve his future until he’s finished at the World Cup – where France are safely through to the quarter finals after beating Argentina. The 6ft 5in midfielder would obviously add some physicality to our side if we ended up signing him and N’Zonzi has experience playing in the Premier League following spells at Blackburn and Stoke so I think he’d be a solid addition to the squad.